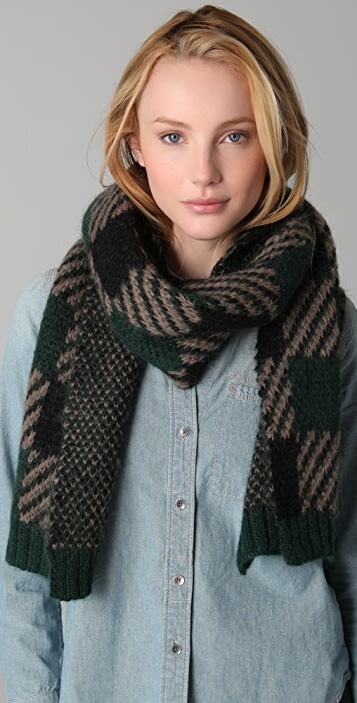 This chunky-knit checked scarf features ribbed ends. * 1' wide by 6' long. 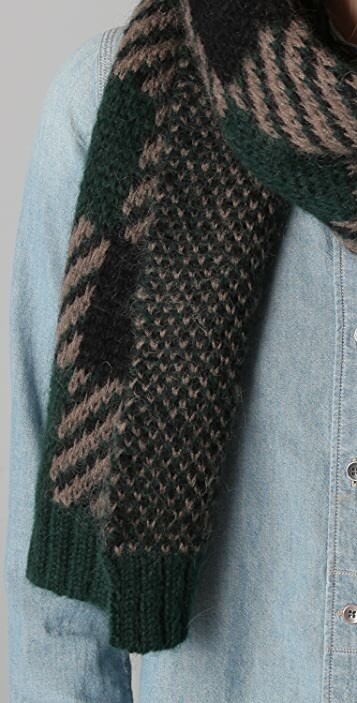 * 40% nylon/30% mohair/30% wool.